Theres always an interest in small crafted, traditional back-to-its-roots spirits these days. and a Scottish gin has been available for the past few years which has been causing a stir in this particular market – Caorunn. Caorunn is inspired by Celtic tradition with the use of five Celtic botanicals, a traditional gin plant and handcrafting process. Their unique Copper Berry Chamber is used to infuse the carefully chosen blend of six traditional gin botanicals and five Celtic botanicals. All this happens at the Balmenach Distillery which itself is one of the oldest distilleries in the Speyside region. 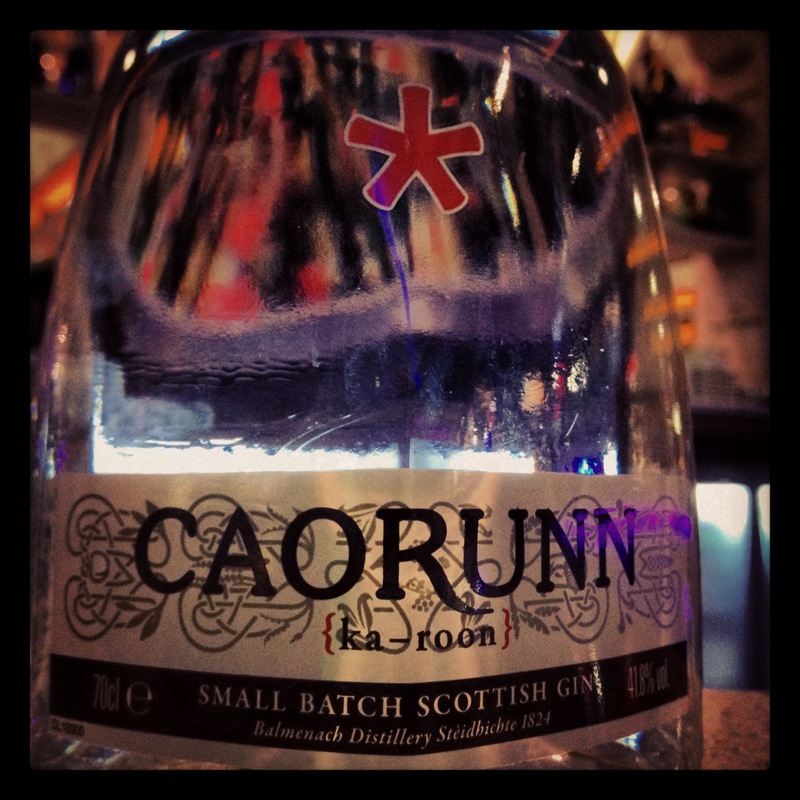 As mentioned, Caorunn is a handcrafted, small batch distilled gin controlled by the Gin Master, Simon Buley. A small batch is usually 1,000 litres and use pure grain spirit instead of the more widely used molasses. This is to ensure of Caorunn’s high quality. Once distilled three times, the pure grain spirit is vaporised twice through the round copper framed chamber of the Copper Berry Chamber that was made back in the 1920’s, when gin was produced with a slow process to enable enough time to infuse the subtle flavour of the botanicals. Spreading the 11 botanicals over four trays in the chamber allows the grain spirit vapour to meet the botanicals on a largest possible surface during the infusion process. Lively on the nose with lots of floral and citrus aromas dancing well. Rather sharp on the palate when it first hits that develops into a long finish with hints of aniseed that drys a little. 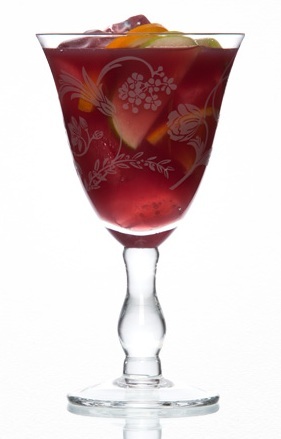 Add gin, red wine and orange juice to glass with cubed ice. Stir, add garnishes of tightly tied cinnamon stick, lemon slices, orange slices and apple slices, top with tonic water, then grate nutmeg over the top. A simple serve that not only looks good, but can also be enjoyed as a punch to share with friends and family. You can purchase a bottle of Caorunn here, and follow them on Facebook for plenty more cocktail ideas.